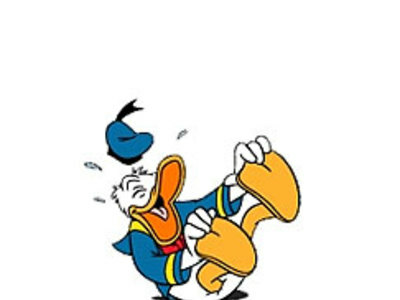 Donald is a white anthropomorphic duck with yellow-orange bill, legs, and feet. He usually wears a sailor shirt, cap, and a red or black bowtie â€” but no pants (except when he goes swimming, ironically). Donald's most famous trait is his easily provoked and occasionally explosive temper. His original concept name was "Dippy Dawg" in cartoon shorts created during the 1930s; then his name was given as "George Geef" and "G.G. 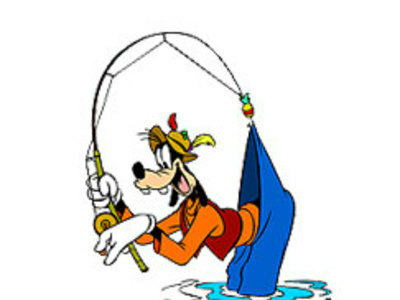 Geef" in cartoon shorts during the 1950s (implying that "Goofy" was a nickname). Contemporary sources, including the Goof Troop television show and A Goofy Movie, now give the character's full name to be Goofy Goof.